4. Send a gift card to a spouse. 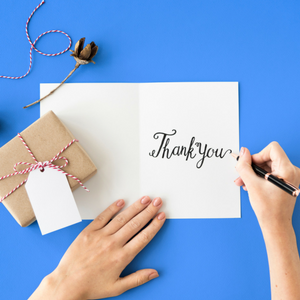 Send a gift card to a spouse with a thank-you note for his or her support during the project (use discretion on this one). 5. Praise individuals one-on-one. Great leaders understand the power of the spoken word. When individuals complete significant work on time, make a point to visit them. Look the person in the eye and tell them why their work matters. And don't forget to call the virtual members to say thanks. 6. Praise individuals before their peers. “I can live two months on a good compliment,” said Mark Twain. Make time in your project meetings to recognize your team members before their peers. 7. Put a picture and article in the company newsletter. Highlight your team’s accomplishments in your company’s newsletter. 8. Post a picture in the office. Take a picture and print a large copy for a company bulletin board. If your company has hall TV monitors, share a picture with appropriate text. 9. Give a gift certificate for a car wash. When team members are working overtime, things outside of work can slip. Think of one way you can help. 10. Bake cookies. I am not the greatest cook, but I can slice cookie dough, put it on a cooking pan, and turn on the oven. If you don’t cook, pick up cookies from a local bakery. Some managers are afraid to reward team members for fear individuals will expect the same reward for similar tasks in the future. Reduce this pattern by rewarding team members after the fact. Vary the rewards. Make it fun. Be creative. Build a strong project culture.